Sometimes all you need is a projects that knits itself. This skirt is one big snoozefest until yoiu reach the leaves at the top. And then you’re just about done! 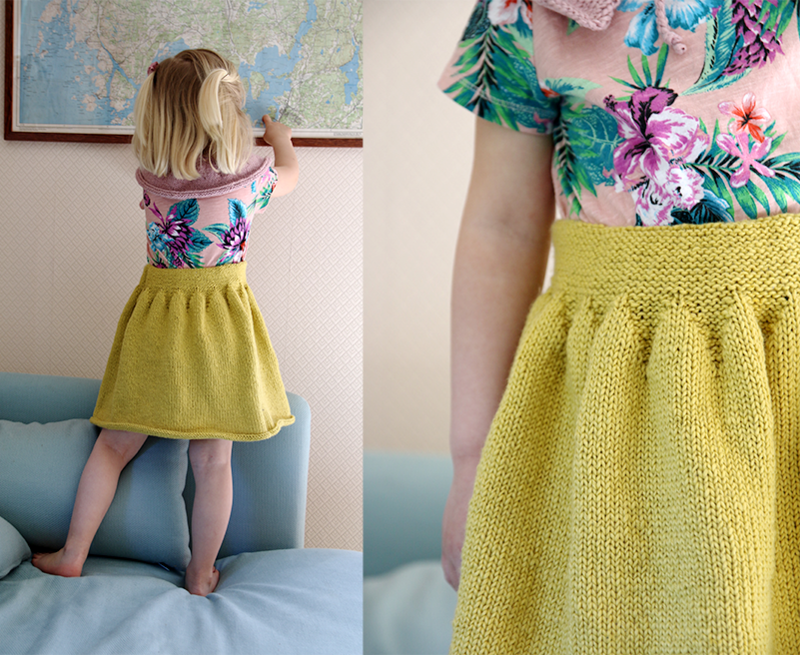 The Palm Leaf Skirt is a quick and easy knitted skirt with a fun decrease creating the palm leaf edge around the waist. The collar completes the look. And do we have yarn kits in fun colours? But of course!